Okay my friends, Today, let’s talk about the new guy, the Mega Minion! 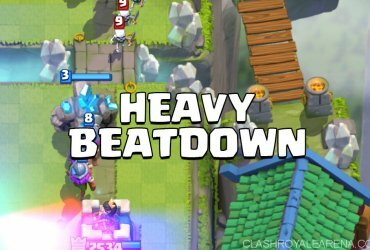 I am writing this guide with the Mega Minion at the Tournament rule level. He is indeed an outstanding card when used correctly. The Mega Minion could be great on both offense and defense. He is very cheap. He is comparable with Mini P.E.K.K.A and Musketeer. Although Mega Minion is excellent on neither defense nor offense, he could be decent on both. 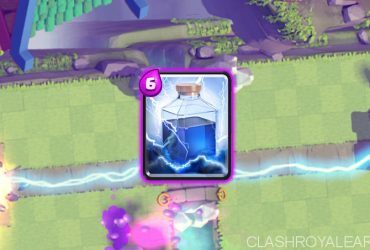 The Mega Minion is better than Minions at soaking damage while it costs the same Elixir. The downside is that it’s harder to collect and upgrade Mega Minion since it’s a Rare card. Having more HP allows him being able to survive some popular spells such (Arrows, Fireball…). He is better at finishing off the push with the help from the nearby Arena Tower. Anyway, in my opinion, his best use is defending. But, If you want to deal with a tank-support push, don’t just place him down alone and expect the results. He doesn’t have much damage as the Mini P.E.K.K.A but he can soak damage from above. If your opponent uses only one Musketeer as the support, distract the tank with a defensive building then use Mega Minion to distract and kill the Musketeer. On offense, If your opponent can distract him, he couldn’t make it to the Tower. If you want to use him on offense, it should be the counterpush. The list below shows you all of the card interactions when they are alone. Everything is based on the Tournament Standard levels. 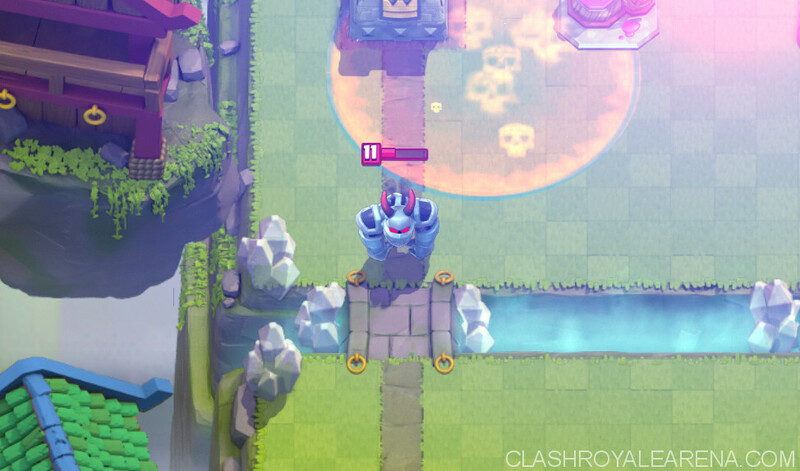 Kill the Knight, Bomber, Mini P.E.K.K.A, Sparky, Goblins, Valkyrie, Mega Minion, Barbarians, Balloon, Dark Prince, Lumberjack, Guards, Baby Dragon, Witch, Musketeer, Princess, Archers, Spear Goblins and Hog Rider before he makes it to the Tower. Kill Giant in 12 hits (15.6 seconds). You will want to use additional defensive building or troops because supports will come and protect the Giant soon. Prince since it takes 6 hits to take down the Prince. He still deals massive damage to your Tower before death. Skeleton Army, of course, because of Mega Minion’s attack speed. P.E.K.K.A. Mega Minion needs 13 hits to take down the P.E.K.K.A. R.I.P your Tower. Golem, of course. MM needs 15 hits to take down the Golem and 8 more hits to take out the Golemites. Royal Giant. Unless you don’t have anything else in your hands. Fire Spirits. Mega Minion easily survive hits blasts from Fire Spirits at Tournament Standard with 118 HP remaining. This makes MM much better than the Minions. Miner. Due to Miner’s attack speed, he still can do at least 2 more hits even when you place the Mega Minion perfectly. Better use a ground troop to deal with Miner. Bowler. 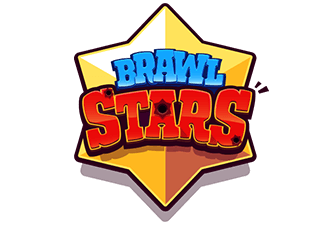 Bowler still can do 2-3 hits to your Tower but that’s acceptable. Lava Hound. Mega Minion can wreak Lava Hound and soak damage from the Lava Pups perfectly. 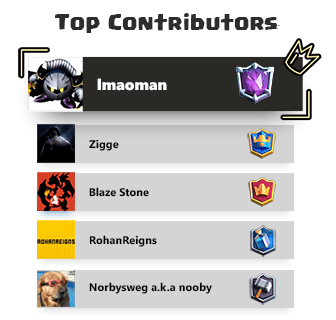 Mega Minion is the hard counter to lone Lava Hound. In addition, he can pretty much kill a Cannon, X-Bow and Mortar before getting killed by the Crown Tower. If doesn’t get attacked by the Crown Tower, the Mega Minion survives 2 waves from the Furnace. He is also great at dealing with Barbarian Hut. He survives most spells, except Lightning and Rocket. Now it’s time for our pushes. Push could be anything but normally we stick with the two most popular types: “Tank + Damage + Splash” and “Trifecta”. For example, let’s talk about the Giant + Musketeer + Witch combo. Drop a mini-tank down as your Mega Minion does the damage to take out both supports and other small units your opponent throws behind. It is strongly recommended to pull the Giant with a defensive card. The best case should be Valkyrie + Mega Minion as they can easily annihilate the enemy push and make a strong counterpush afterwards. Mega Minion is excellent against Hog Trifecta. One defensive unit and one Mega Minion are all you need to stop this annoying combo. Due to MM’s HP, he can easily survive the Poison as well. Make sure you kill the Musketeer first because she is the only one who can shred your Mega Minion. Against Giant Balloon, place your MM between them and make sure your MM can target the Balloon immediately. Because they have the equal speed, don’t place your MM too far away otherwise he will chase the Balloon until it hits your Tower. You need to pay enough attention at this. Heavy Beatdown 101 – How to Make Your Opponents Raging!